﻿Which came first, the budget or the strategic plan? The two are inherently connected, but for many businesses, there is a disconnect between how they conduct budget planning and how they decide on the marketing strategy that will help achieve their goals. Not only are these two discussions poorly aligned, many times they are conducted by two different groups of people. We’ve talked in the past about setting SMART goals for your marketing. Your revenue and growth goals for your business will directly influence the marketing strategies you choose and the budget you decide to allocate to achieving these goals. While it sounds great to set the goal of doubling your revenue, this goal isn’t attainable if you aren’t willing to allocate enough of your budget towards making it a reality. How are you going to meet your goals? Decide on the specific marketing tactics you’ll use to achieve your marketing goals based on what has delivered a positive ROI in the past and which new strategies you believe will work in the future. All of these strategies may not fit into your plan once your budget comes into play, but it is important to have an idea of which strategies you believe will give you the best chance of success. For any initiatives that didn’t make the cut, make sure you keep a backlog of those items for future reference. Budget allocation will depend on the tactics you use as part of your overall strategy. Once you have prioritized the tactics you’d like to use, there are a number of questions to ask to determine the budget necessary to include each of these tactics in your overall marketing strategy. What is the impact of each of these tactics? While each individual tactic should fit into your overall marketing strategy, it must also be able to prove its ROI on its own. How will each tactic contribute to your revenue growth or other marketing goals? How will you measure them? Set clear KPIs for measuring your marketing tactics. If you struggle to quantify their success, you’ll struggle to justify their place in your marketing budget. How much time will they require? This question pertains not only to how many employee hours you’ll need to dedicate to see them deliver a positive ROI. You should also consider whether this project will take longer than your typical budget cycle to produce real results. If this is the case, it doesn’t disqualify it, but you must include this consideration when allocating your marketing spend to it. What is the estimated cost of these activities? How much of your budget must be allocated to be successful? Some tactics, such as marketing automation software, have a fixed fee you must budget for. Others, like content marketing and social media, may see more success the more budget you devote to them (up to a certain point). Once you have answered these questions, you can begin to prioritize what percentage of your budget should be devoted towards fixed expenses, such as software and employees, and to determine how you should allocate the rest. This second part should have some flexibility to be tweaked as some strategies show more promise and others don’t deliver the ROI you expected. However, don’t pull the budget from tactics too soon. Most marketing strategies take time to see real results. Often, you will need to fight for your marketing budget every year. This is especially true when you are fighting to increase your budget, which most marketing departments are. Consider what your goals are and what the success of those goals will mean for the company as you make decisions on the overall marketing budget for 2019. As you embark on the process of budgeting and strategic planning for 2019, the important thing to remember is that these two considerations should always be made together. Your budget should help determine which strategies are viable for the coming year and your strategic plan should help make the case for your budget needs and allocation. Looking for more best practices on aligning your budgeting and strategic planning? 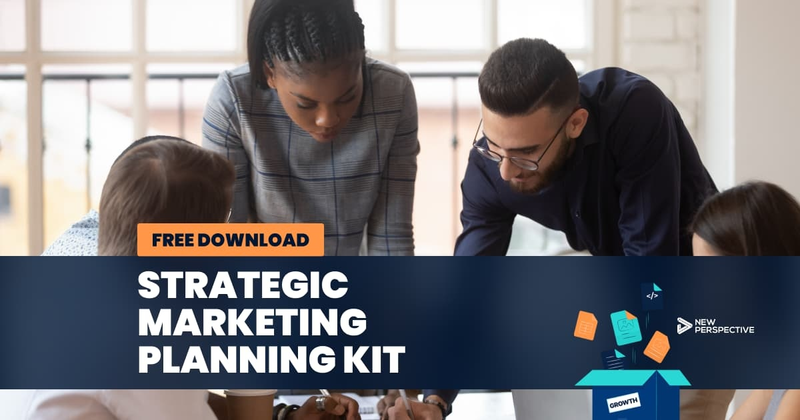 Check out our free Strategic Marketing Plan Starter Kit, which includes templates for putting together a powerful marketing plan for the coming year. Like this post? Don’t forget to share. Get the Latest News: Subscribe to Our Blog!